A lone Bristlecone Pine in Patriarch Grove of Ancient Bristlecone Pine Forest illuminated by warm morning light. 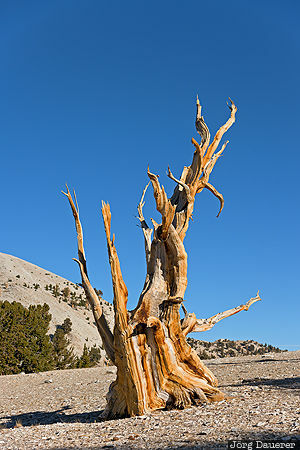 Ancient Bristlecone Pine Forest is in the east of California, United States. This photo was taken in the morning of a stormy day in October of 2016. This photo was taken with a digital camera.